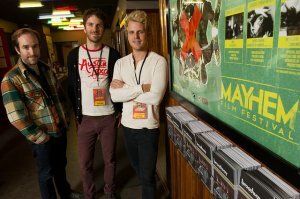 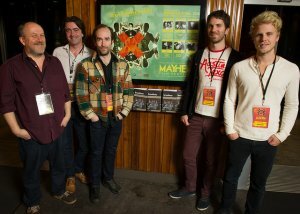 Mayhem's Chris Cooke and Steven Sheil with Astron-6's Adam Brooks, Matthew Kennedy and Conor Sweeney. 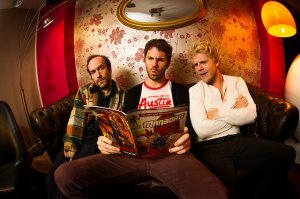 Astron-6's Adam Brooks, Matthew Kennedy and Conor Sweeney. 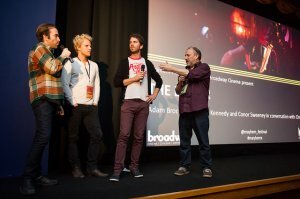 Astron-6's Adam Brooks, Matthew Kennedy and Conor Sweeney with Bio-Bobby, Biocop's British cousin (aka Mayhem's Annie Parry). 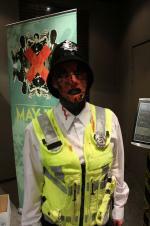 Mayhem's Annie as Biocop's British cousin, Bio-Bobby! 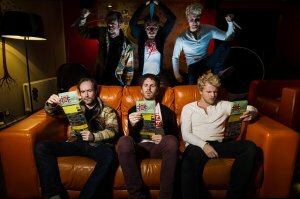 Astron-6's Adam Brooks, Matthew Kennedy and Conor Sweeney and their evil twins. 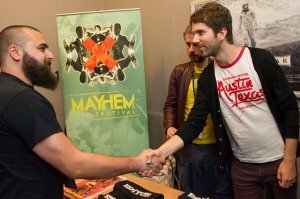 Astron-6's Adam Brooks, Matthew Kennedy and Conor Sweeney do battle with mini-Manborg and mini-Biocop. 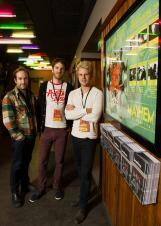 Astron-6's Adam Brooks, Matthew Kennedy and Conor Sweeney in Broadway's Lounge. 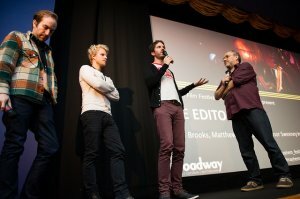 Astron-6 introduce The Editor, with Mayhem's Chris Cooke. 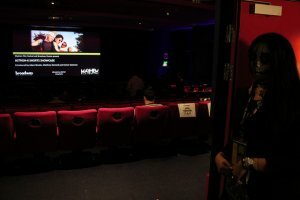 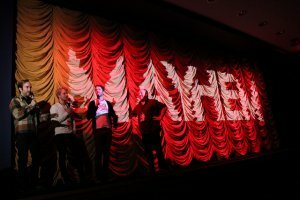 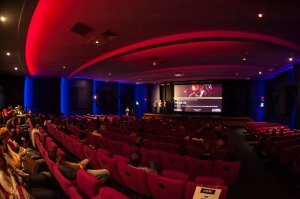 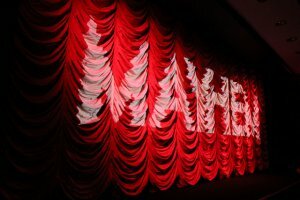 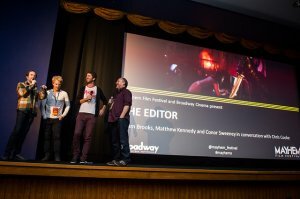 Astron-6's Adam Brooks, Matthew Kennedy and Conor Sweeney join us for their Q and A.
Astron-6's Adam Brooks, Conor Sweeney and Matthew Kennedy with Mayhem's Chris Cooke at their Q and A for 'The Editor'. 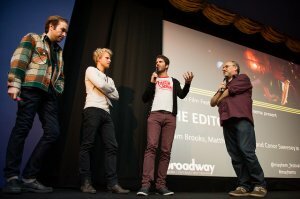 Astron-6 take the stage for their Q and A after 'The Editor' screening in Broadway's Screen One. 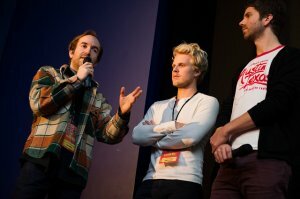 Astron-6's Adam Brooks, Conor Sweeney and Matthew Kennedy at their Q and A for 'The Editor'. 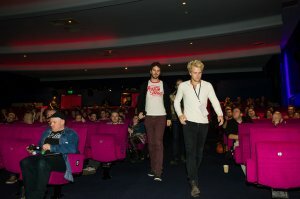 Astron-6's Adam Brooks, Conor Sweeney and Matthew Kennedy meet the audience after 'The Editor'.